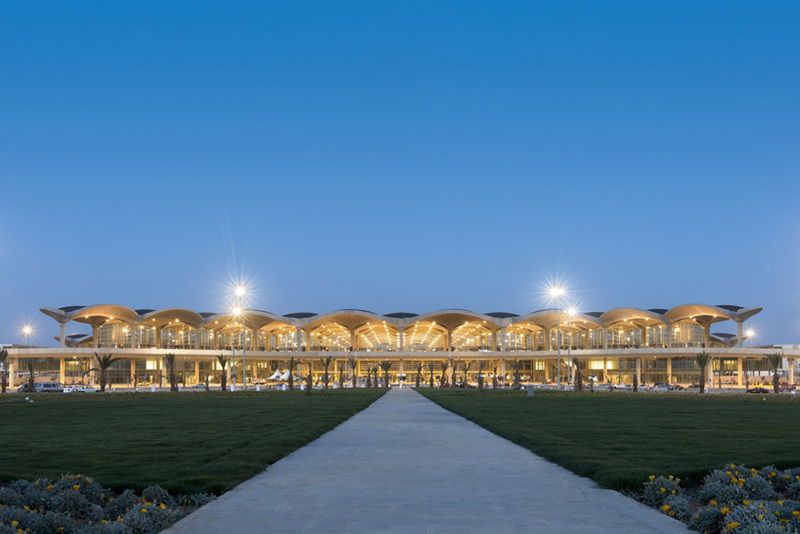 Today marked the official opening of queen alia international airport in amman designed by foster + partners. 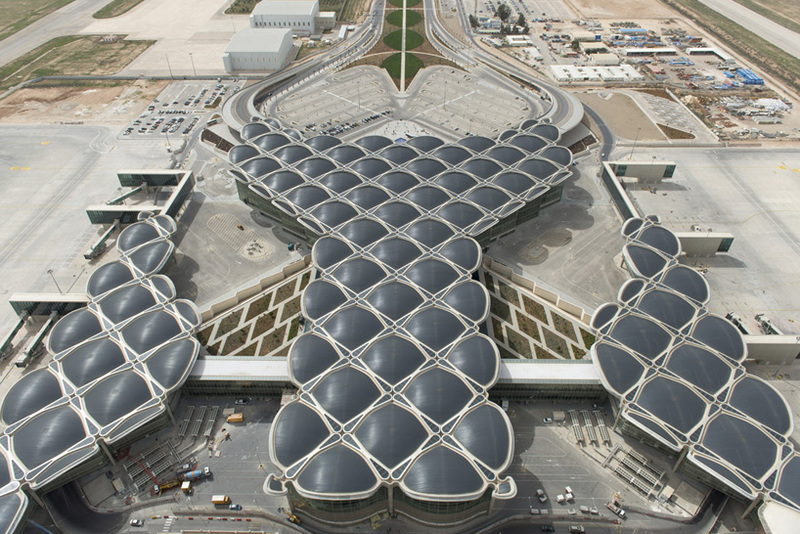 for the next twenty-five years, increasing capacity from 3.5 million to 12 million passengers annually by 2030.
in response to amman’s climate, where summer temperatures vary markedly between day and night time, the building is constructed largely from concrete, the high thermal mass of the material providing passive environmental control. 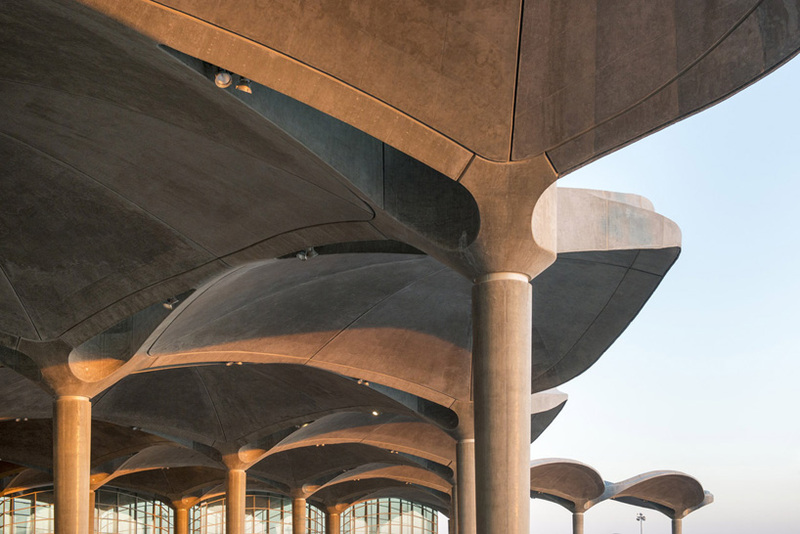 the tessellated roof canopy comprises a series of shallow concrete domes, which extend to shade the facades – each dome provided a modular unit for construction. 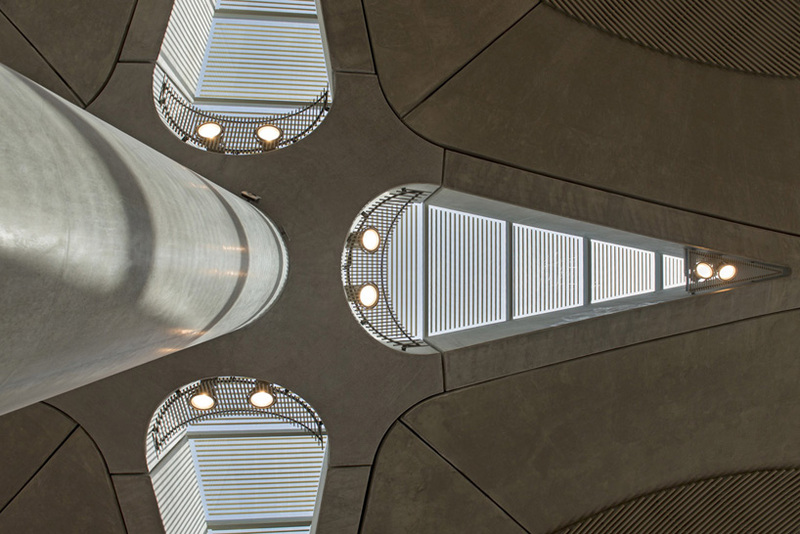 the domes branch out from the supporting columns like the leaves of a desert palm and daylight floods the concourse through split beams at the column junctions. 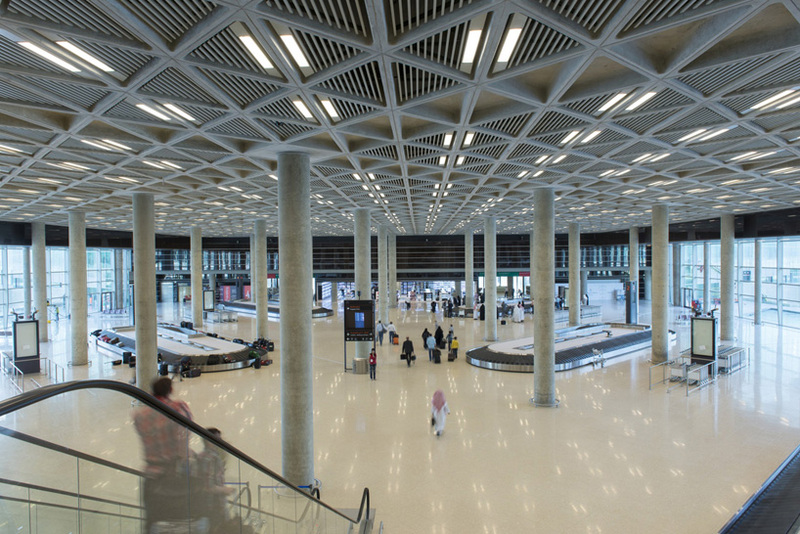 echoing the veins of a leaf, a geometric pattern based on traditional islamic forms is applied to each exposed soffit. 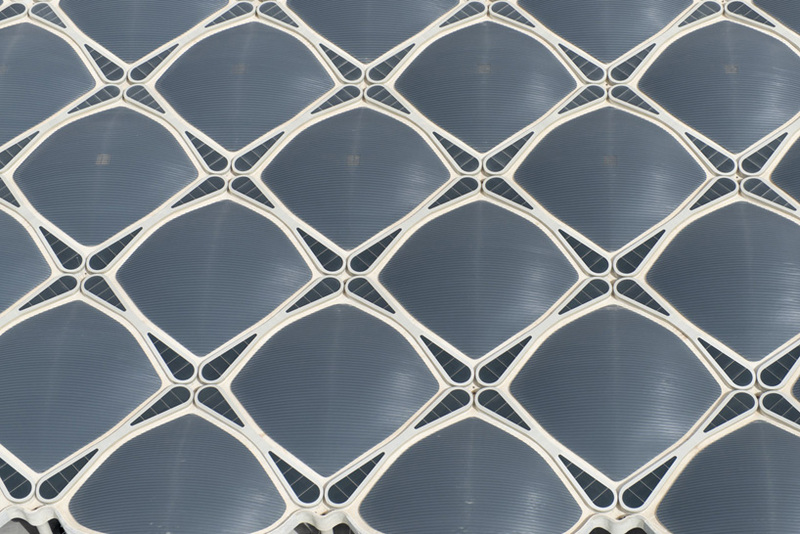 the complex geometry of the roof shells and fabrication strategy was developed in conjunction with foster + partners in-house geometry specialists. 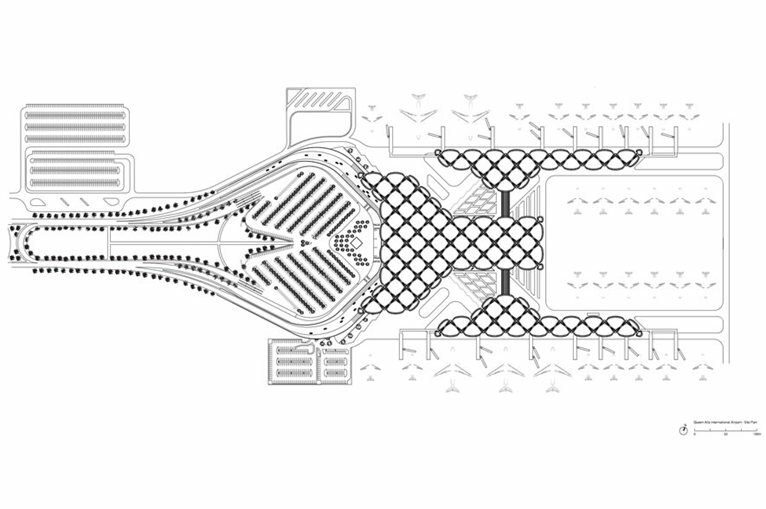 two piers of departure gates run along either side of the central building, which contains the main processing areas and shops, lounges and restaurants. 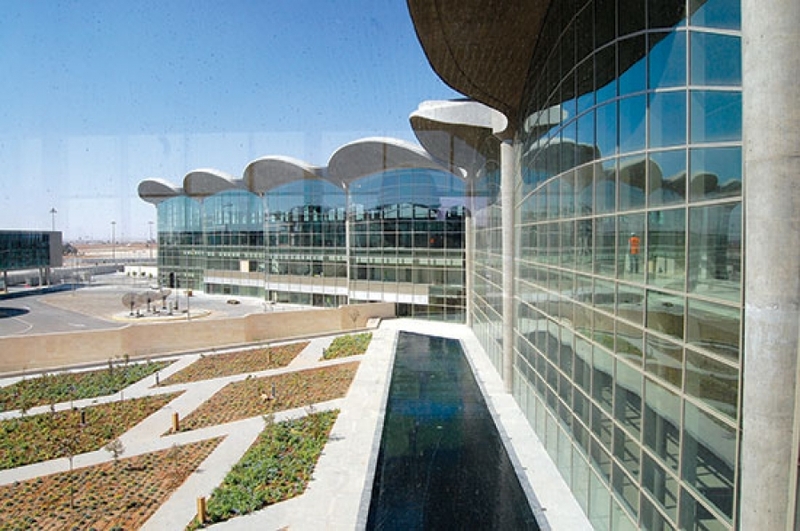 between these volumes, open-air courtyards – a feature of vernacular architecture in the region – contribute to the terminal’s environmental strategy: the plants and trees help to filter pollution and pre-condition the air before it is drawn into the air handling system and reflecting pools bounce indirect natural light into the airport. the terminal is glazed on all sides to allow views of the aircraft on the apron and to aid orientation. horizontal louvres shade the facades from direct sunlight – to eliminate glare, the louvres become concentrated in more exposed areas close to the columns. 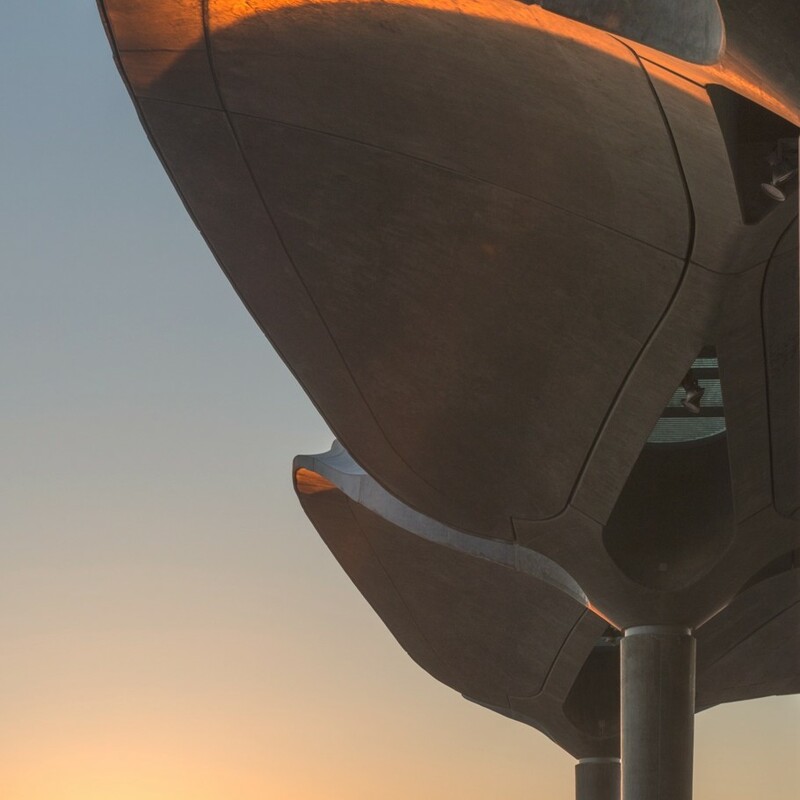 the concrete structure incorporates local gravel to reduce maintenance requirements and the embodied energy of the material, and to harmonise with the natural shades of local sand. 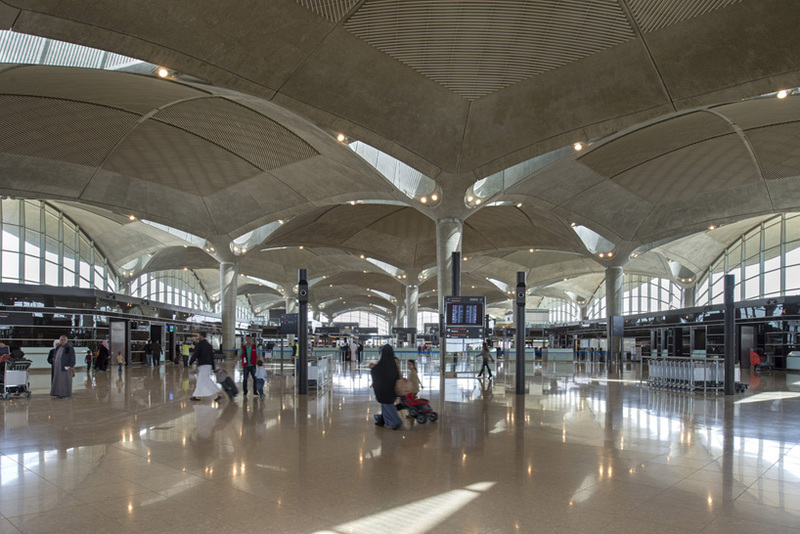 amman is one of the oldest continually inhabited cities in the world – the airport’s design resonates with a sense of place and local architecture, particularly in the domed roof, which from the air echoes the black flowing fabric of a bedouin tent. 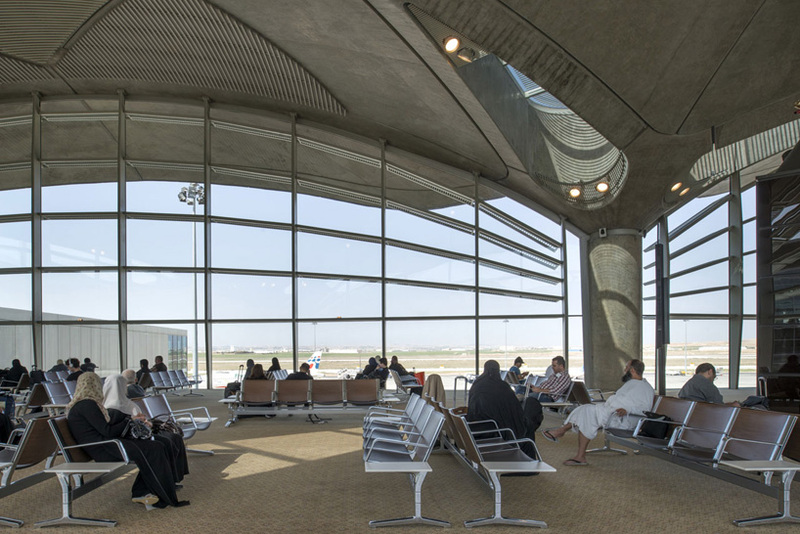 there are also references to the jordanian tradition of hospitality – in celebration of the custom for family groups to congregate at the airport, the forecourt has been enlarged to create a landscaped plaza with seating, shaded by trees, where people can gather to bid farewell or welcome returning travellers.